Tokina FiRIN 20mm f/2 FE AF Lens Announced ! Tokina has officially announced the previous rumored Tokina FiRIN 20mm f/2 FE AF Lens for Sony E-mount mirrorless cameras. Currently, there is no price info about this lens, you can check at B&H Photo Video, the release date of this lens is at the end of May, 2018. Ring-shaped ultrasonic autofocus motor, along with a GMR sensor, affords quick, quiet, and responsive AF performance along with full-time manual focus override. Sony E 18-135mm f/3.5-5.6 OSS Lens Announced, Price $598 ! 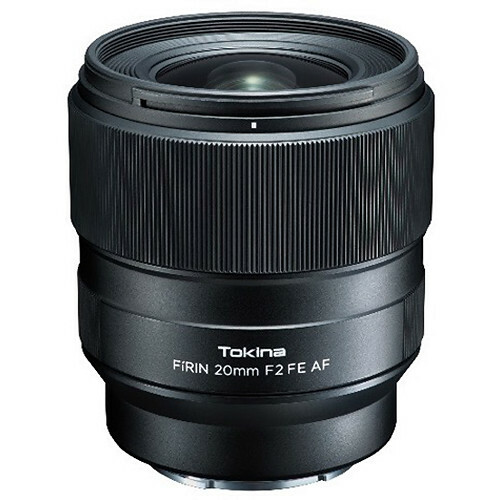 Previous Previous post: Tokina FíRIN 20mm f/2 FE AF Lens to be Announced Soon ! Next Next post: Sony HVL-F60RM Wireless Radio Flash Announced, Price $599 !